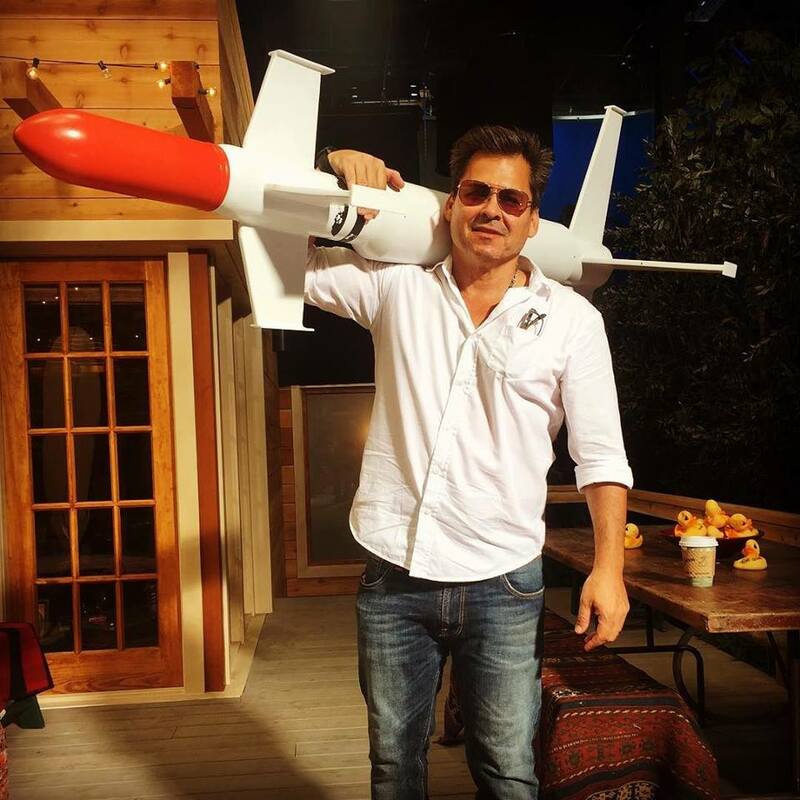 On July 27 in 2016, Executive Producer Peter Lenkov posted a picture of himself; shouldering a certain missile prop on the MacGyver Reboot set. 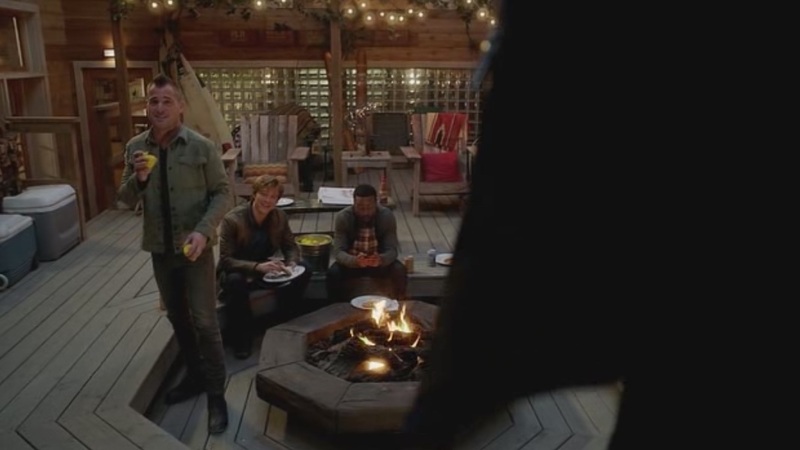 Interestingly, the online conversation and speculations between fans of the Original Show soon shifted to something that was on the table behind Lenkov – the Yellow Rubber Duckies. Why? 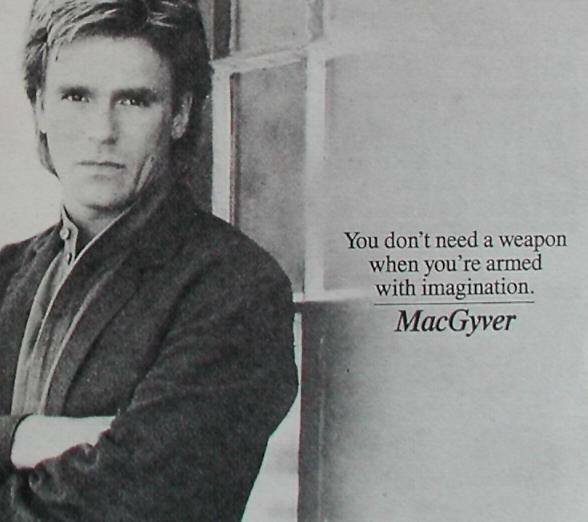 It’s a fact that Original MacGyver Richard Dean Anderson has an affinity for Rubber Duckies. 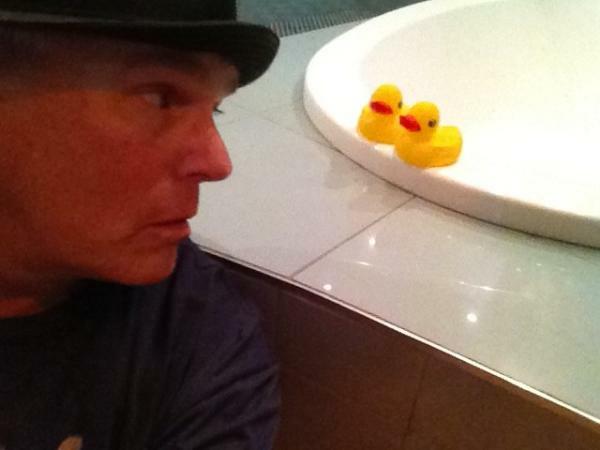 Back when RDA was still active on Twitter, he had posted pictures of him with/or of Yellow Rubber Duckies several times. 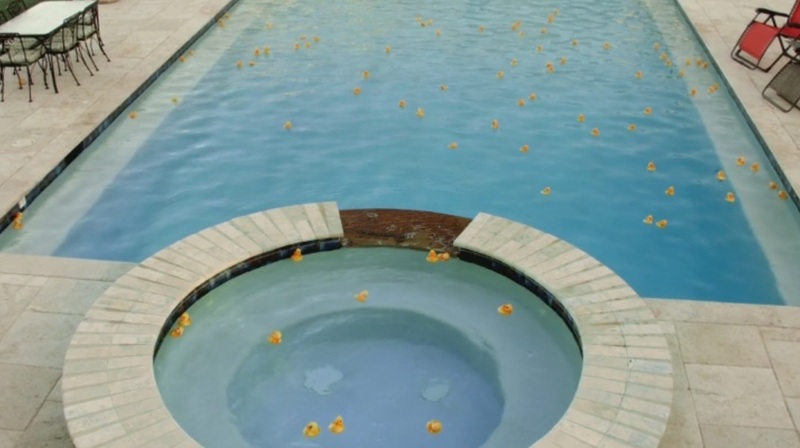 In an article about RDA’s Malibu Home from 2009, rubber duckies are mentioned living in the bathroom of Richard’s daughter Wylie. There is a photo of RDA napping with a yellow duck on his chest. 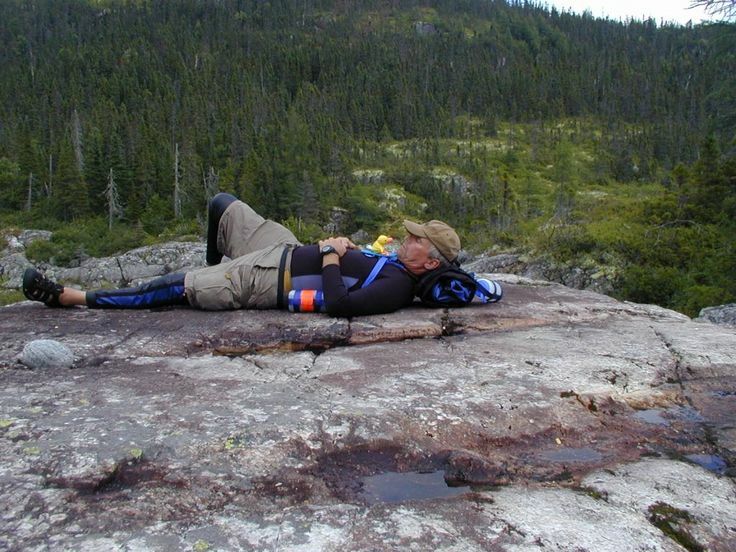 The picture was taken in July 2000, on a trip with Bobby Kennedy for an expedition to Headwall Canyon, a very remarkable wilderness 60 miles outside Vancouver. The 7-day excursion was filmed as part of the “National Geographic Explorer” series and aired in October 2000. 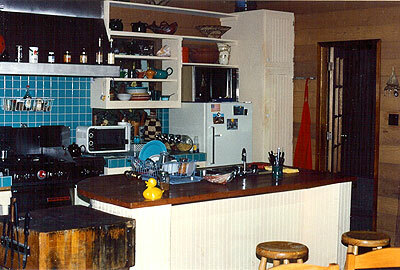 On BtS set pictures of the original show, you can see a single Yellow Rubber Ducky in MacGyver’s kitchen on the Houseboat Set. 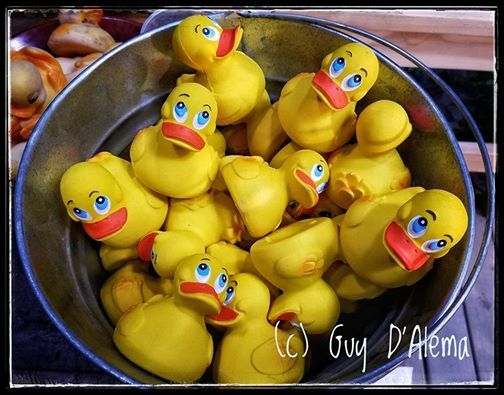 A few weeks later after Lenkov’s vanishing photo, there was an Instagram Post by one of the set decorators – consisting of a picture with LOTS of stranded Rubber Duckies; waiting for better things to come. Was it just a coincidence instead of an hommage? One of the set decorators stumbling over these homeless duckies for a bargain, and thinking they would make a great prop? Fun Fact: Inserting interesting props as a visual signature is nothing new. 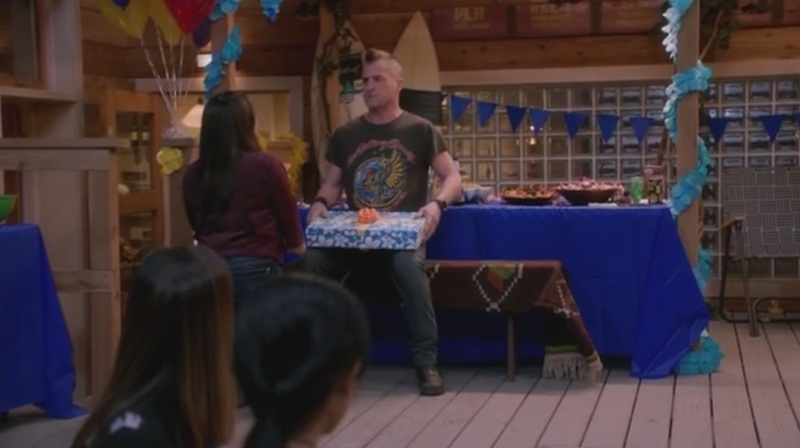 If you’ve seen RDA’s other longtime-series “Stargate SG-1”, you might have noticed that in almost every episode directed by William Waring, there’s a pineapple in one of the scenes. 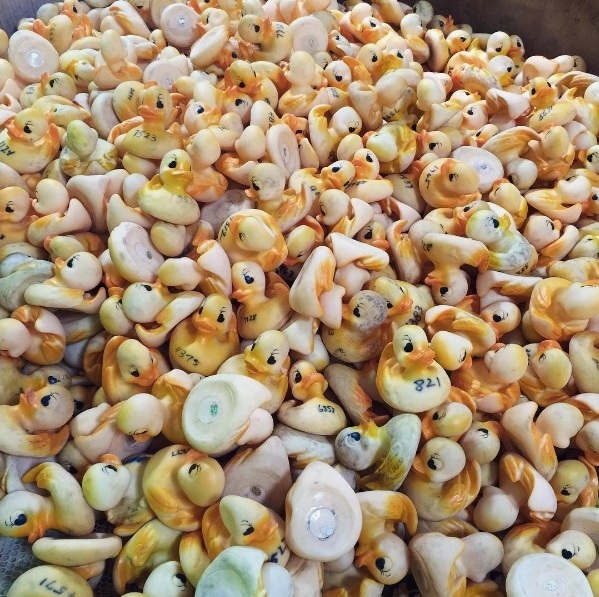 Some of these battered-looking Yellow Rubber Duckies had quite the career. 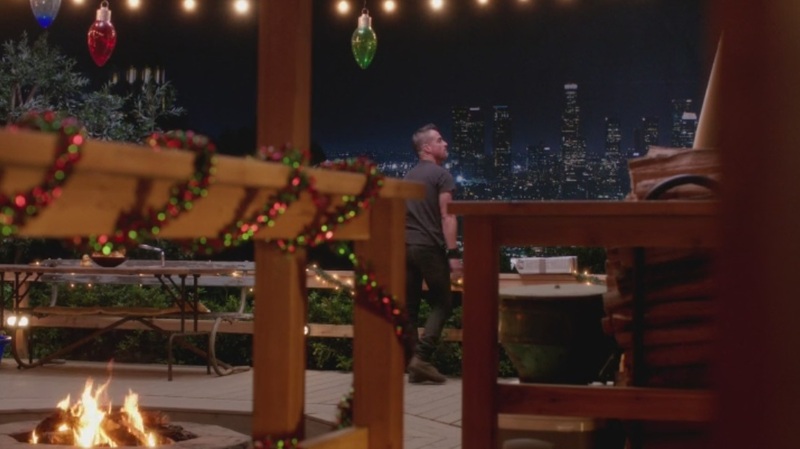 On September 23rd last year, the Duckies had their prominent premiere in the Pilot Episode (The Rising). It’s quite the important scene, because the Duckies are present when the Phoenix Foundation is born. 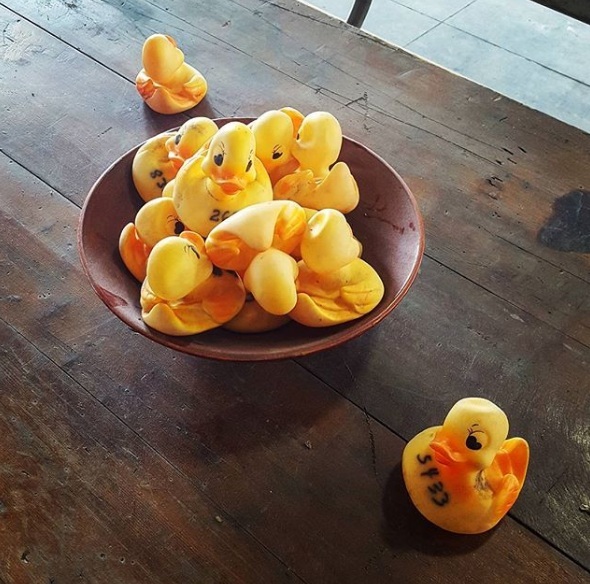 On October 26, Stand-In Briana Lamb posted a close-up of the Duckies “swimming” in the empty bowl. 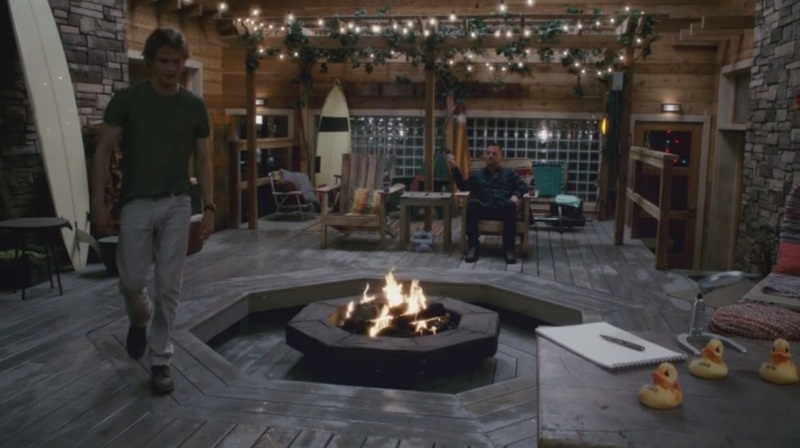 They made another appearance in Episode 1×03 (Awl), in the scene where Jack gets MacGyver to finally reach out to his father and write a letter. 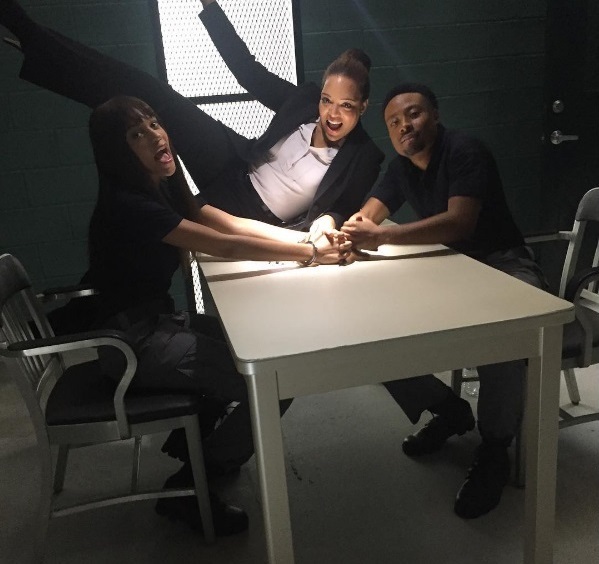 The “career high” was probably in Episode 1×05 (Toothpick), when the Duckies were featured in a longer scene between Bozer and Riley. 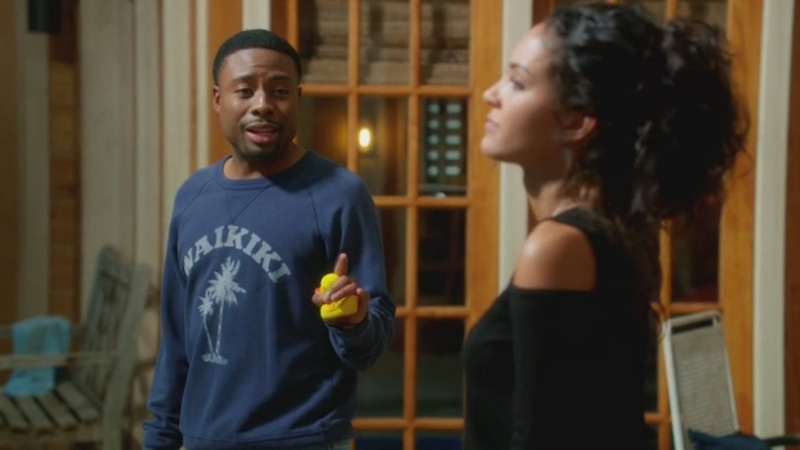 Interestingly, they used another set of Duckies for Justin Hires and Tristin Mays to hit with the racket. This might have been a decision purely for aesthetic reasons since these Duckies have a richer yellow color and therefore more visibility in the shot. They probably bought them brand new. In the swimming pool, it was the “old” Duckies having a swim. Still Photographer Guy D’Alema captured both sets of Duckies in this BtS picture (January 2017). In Episode 1×08 (Corkscrew), we get to see where the Duckies hibernate: In Bozer’s bedroom. In Episode 1×11 (Scissors), the Duckies are almost hidden. Look closely! More cruelty against innocent Rubber Duckies happens in Episode 1×16 (Hook). When Riley is playing “Truth or Dare” with Team Phoenix, Jack lobbs the Duckies at her; trying to disctract her and win the game. The most secret appearance of one single Ducky probably happens during the Crossover-Episode with Hawaii Five-0. Look on the right side, under the chair. Sneaky! 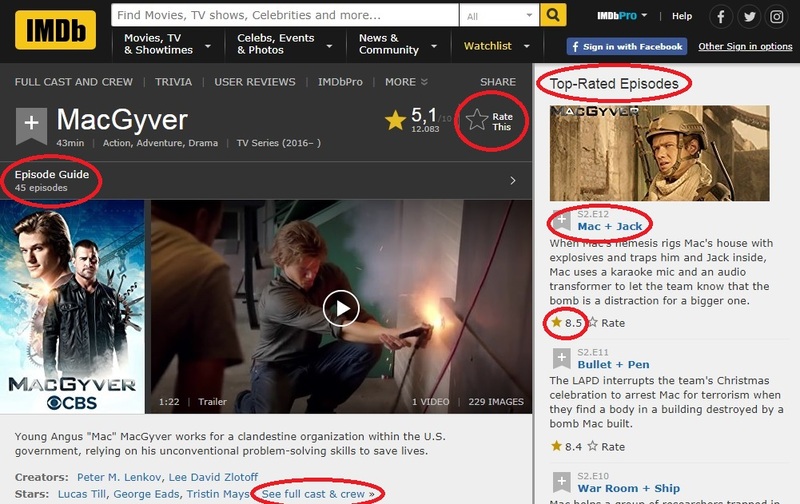 The last appearance I noticed was in the Season Finale, when MacGyver tells Jack about the letter. 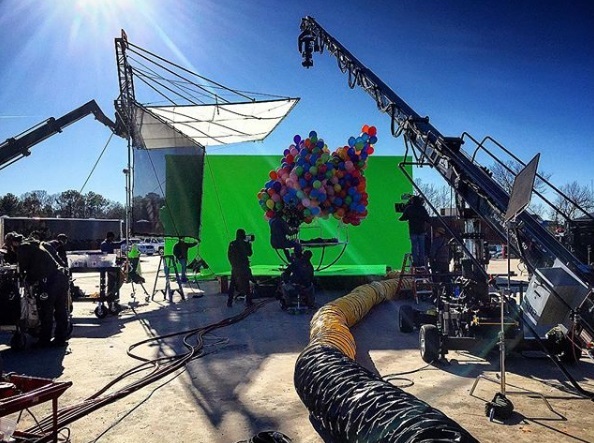 During the scene, the Duckies are partially hidden – either by the credits or by the MacGyvered prop on the table. It’s still not entirely clear to me what the Yellow Rubber Duckies are about. I do think they might be an hommage to RDA, but who knows. They could be an hommage to CBS and its show “Big Brother” (because a yellow rubber ducky has been a regular in Big Brother houses for several seasons and you can actually buy a yellow rubber duck with the Big Brother logo at the CBS Store). We might hear about it on the DVD Extras. 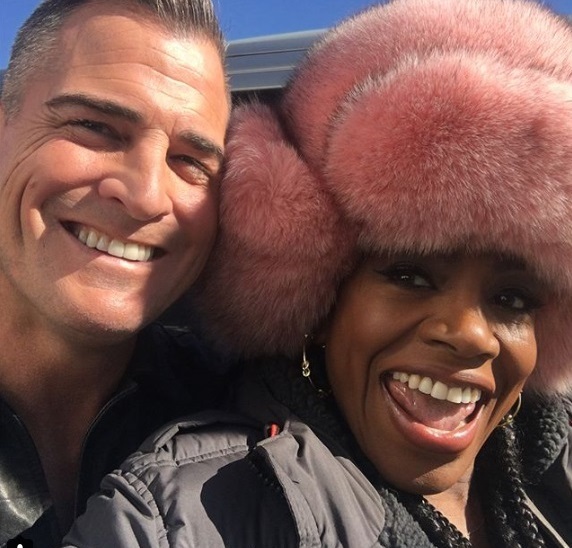 We might see them again in Season 2. I hope we do, actually. They’re cute. 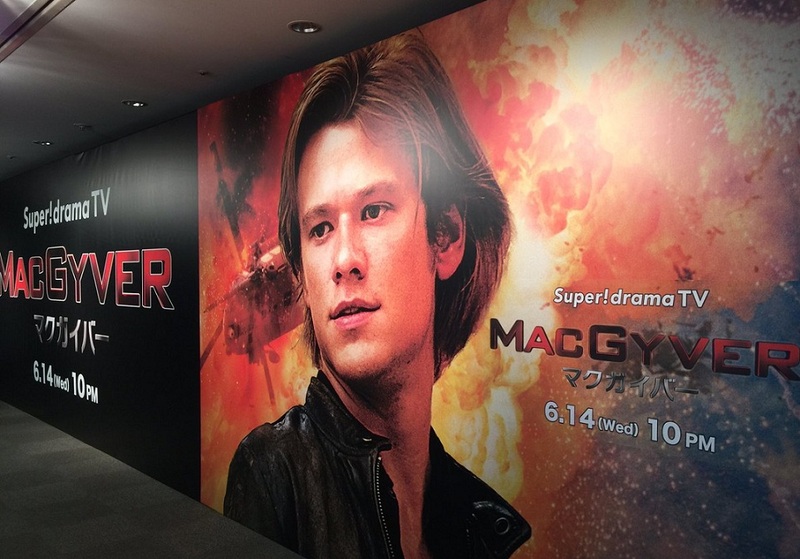 We have an official date: Season 2 of the MacGyver Reboot will premiere on Friday, September 29. 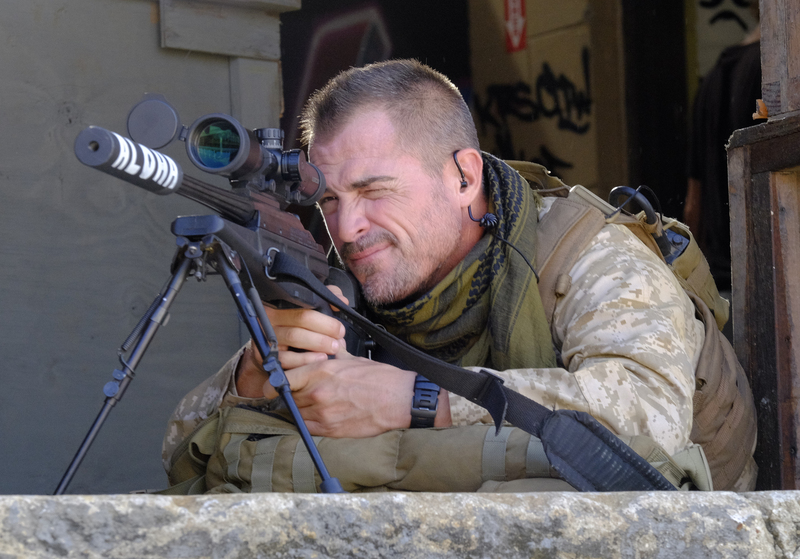 On the first of June, CBS announced the premiere dates of the Fall Season. 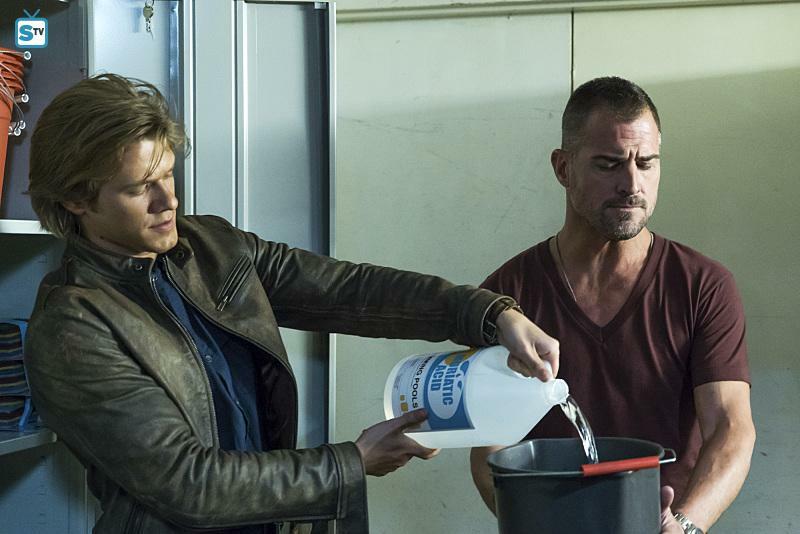 As expected, the MacGyver Reboot will have its premiere for Season 2 on Friday, September 29 – along with Hawaii Five-0 and Blue Bloods. 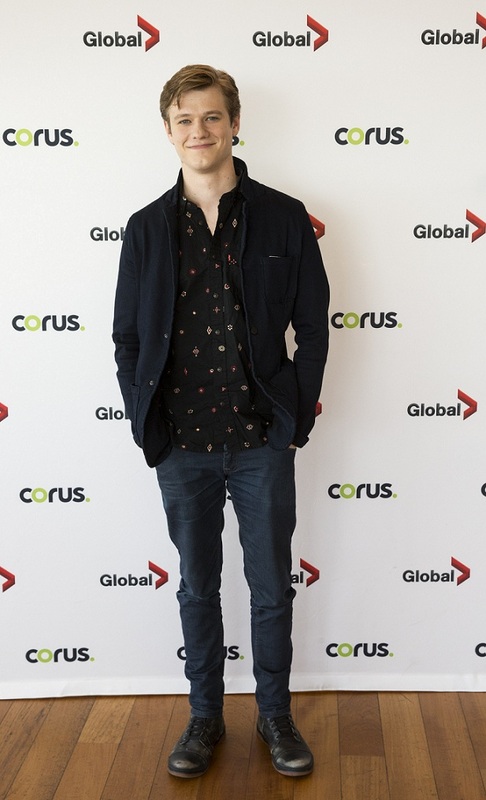 On June 8, Lucas Till attended the Corus Upfront Press Event in Toronto to promote the upcoming Season 2. He gave interviews and also attended the Sales Dinner where he posed for selfies, sporting his new haircut. 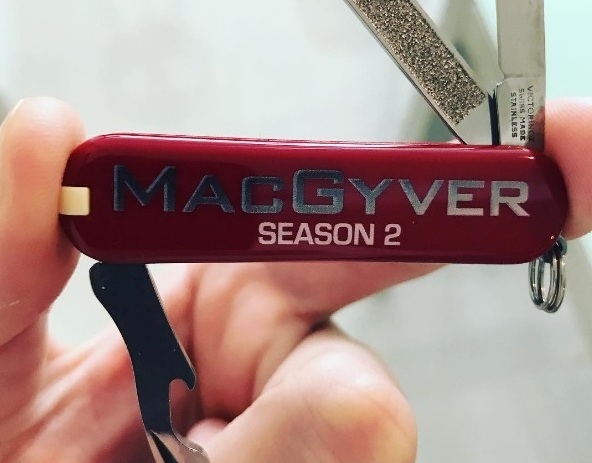 In a video interview with ET Canada, Lucas revealed he has just approved the Gag Reel for MacGyver (presumably for the Season 1 DVD). He joked about getting punished for doing a good job and talked about having no free weekends for 9 months. 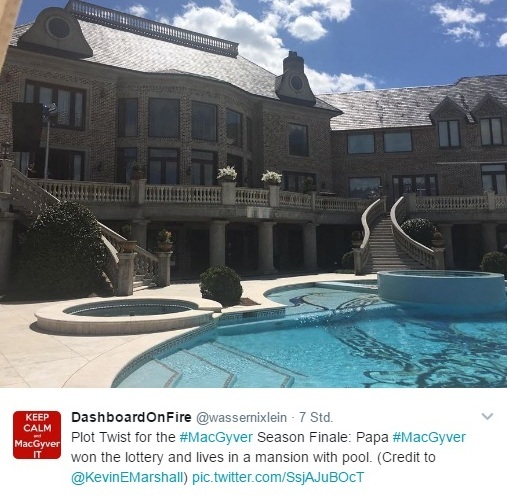 He revealed that there will be a “Casino Episode” next season and brought up the MacGyverisms of Episode 1×05: The Heist (the casino episode of the original show). Many Reboot fans have mentioned on social media that they miss the voice-overs. Lucas confirmed my suspicions about this to ET Canada: They cut down on the voice-overs for the same reasons as the original show. I always liked the voice-overs, but I can understand that they just take up too much time in the already tight schedule. 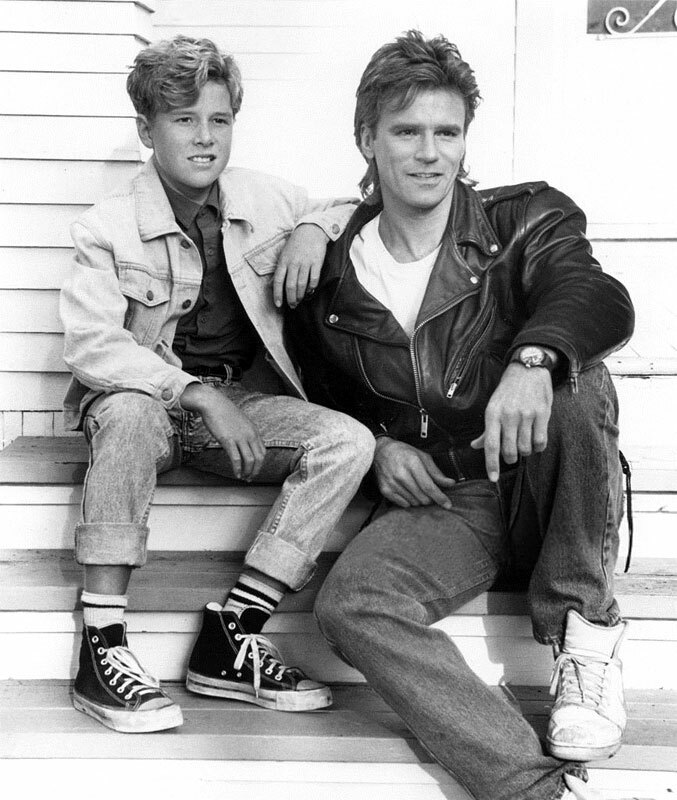 Original MacGyver Richard Dean Anderson stated in several interviews being very happy about finally dropping the voice-overs, and it sounds like it was Lucas who suggested dropping them as well. Lucas stated that he had signed up for an action-comedy and that viewers don’t want to see too much drama on a Friday night. This might explain the serious lack of “Mac-whump!” and why there always seems to be this need to bring in more jokes (which are not necessary in my opinion). 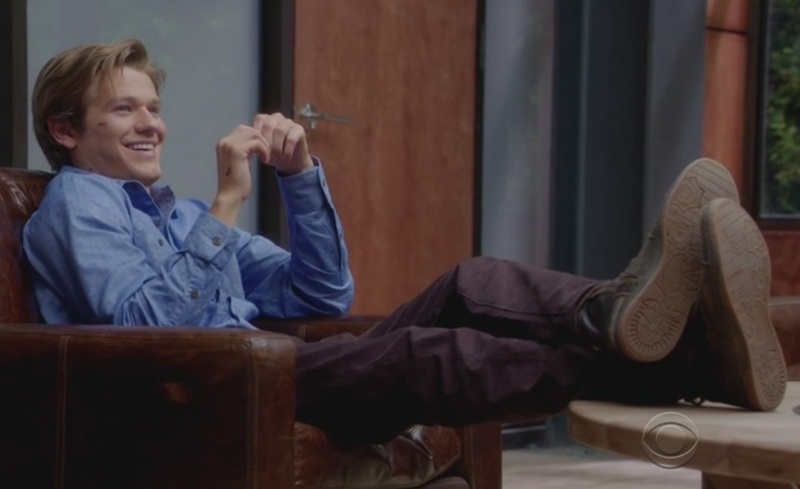 In the interview on stage, Lucas stated that he really enjoyed physics as a kid and that the tries to understand what he’s actually talking about in the show. 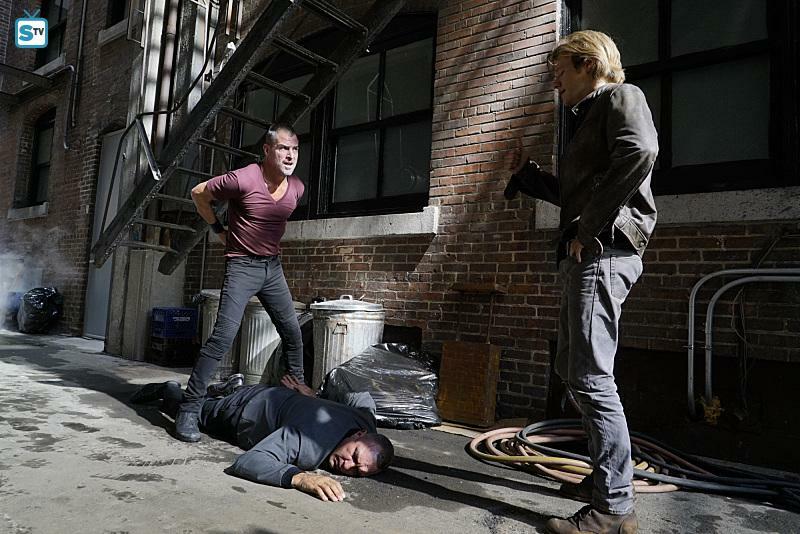 He also revealed that the scariest stunt they did was for the Opening Gambit of Episode 1×03 (Awl). 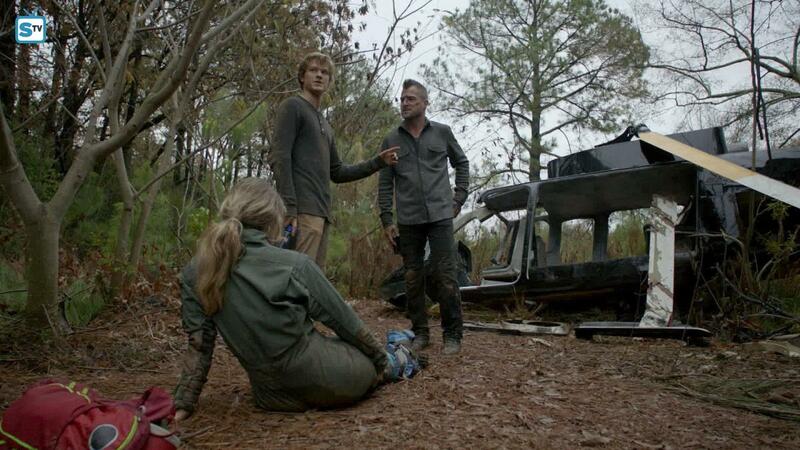 The reruns continue to garner good ratings while winning the 8pm time slot. Episode 13 (Large Blade) made 4.47 million live viewers with a rating of 0.5 in the 18-49 Demo group. The rerun of Episode 14 (Fish Scaler) had 4.20 million live viewers (along with 0.5 in Demo). These numbers are a bit lower than for previous reruns, but are still strong considering the season. 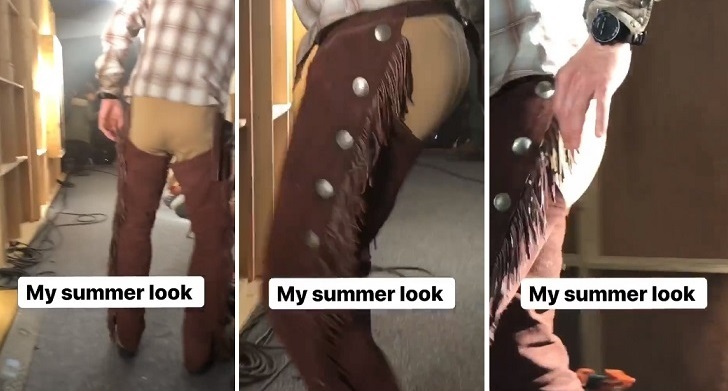 Executive Producer Peter Lenkov spent Memorial Day with Family and Friends, e.g. Meredith Eaton. 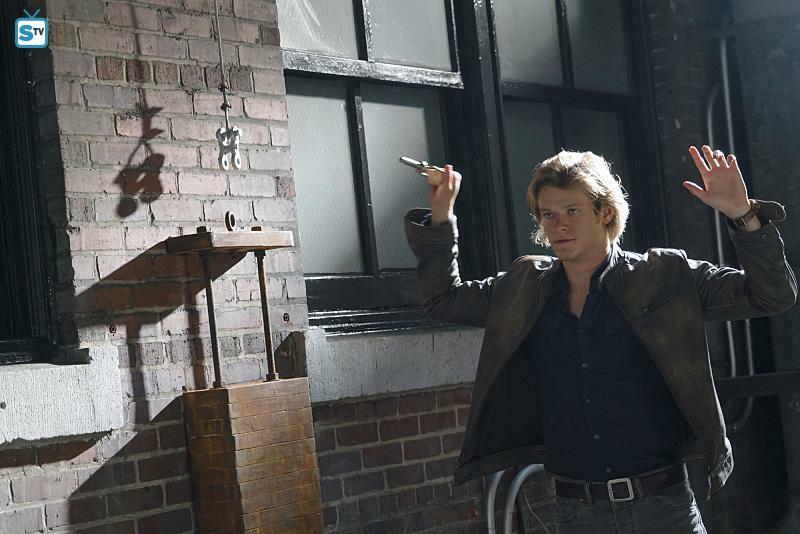 Next week, he will attend the Monte Carlo Television Festival with Lucas Till who can’t wait to get his boss into trouble. 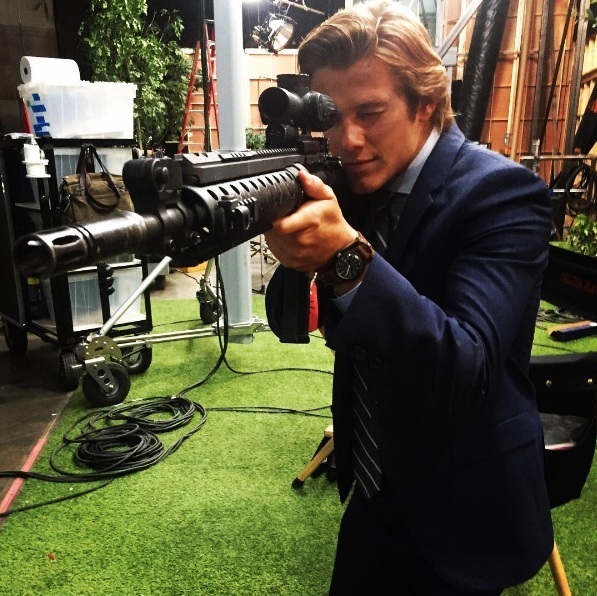 On May 26, Lucas posted a picture of a Season 2 SAK on Instagram. It’s a much smaller version of the one for Season 1 that cast and crew got for Christmas. On May 27, Lucas was seen at Hollywood Burbank Airport where he posed for a selfie with a fan. As mentioned above, Lucas attended the Corus Upfront Press Event in Toronto on June 8. 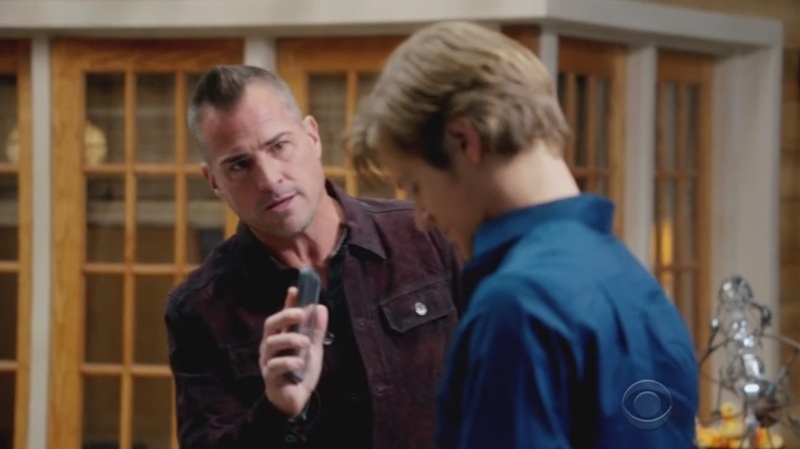 As you remember, Lucas and George Eads got to travel to Hawaii for the crossover episode with Hawaii Five-0 while Justin Hires and Tristin Mays stayed back in Atlanta to film their scenes. While Tristin Mays recently travelled to Hawaii for a holiday, it was Justin’s turn last week. 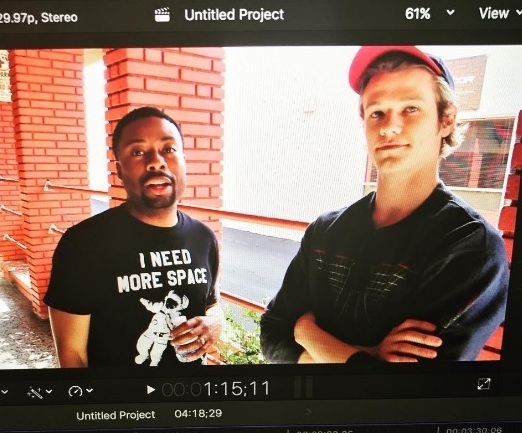 He’s already back at work doing stand-up comedy and editing videos; promising to upload a new BtS video of the LA Wrap Party this weekend. The Reboot is or has been airing in several countries by now. 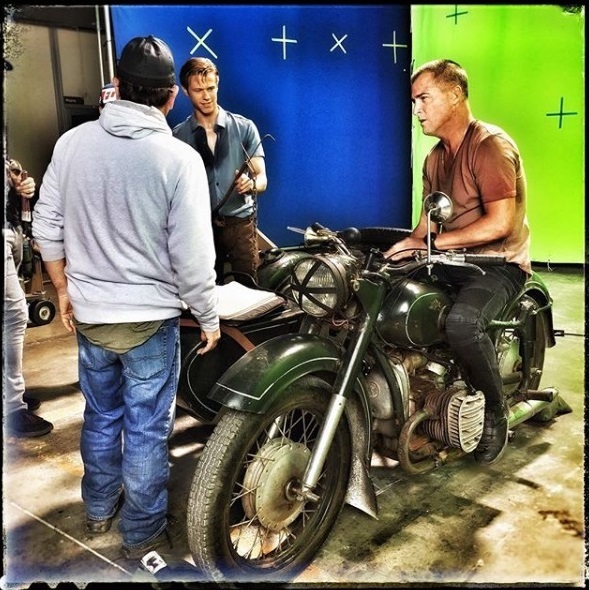 The premiere for Italy (Rai2) took place on June 6. On the same day, there was a premium preview in Japan with several of the voice dubbing actors attending. As mentioned in my last update, other countries mostly don’t translate the episode titles literally. 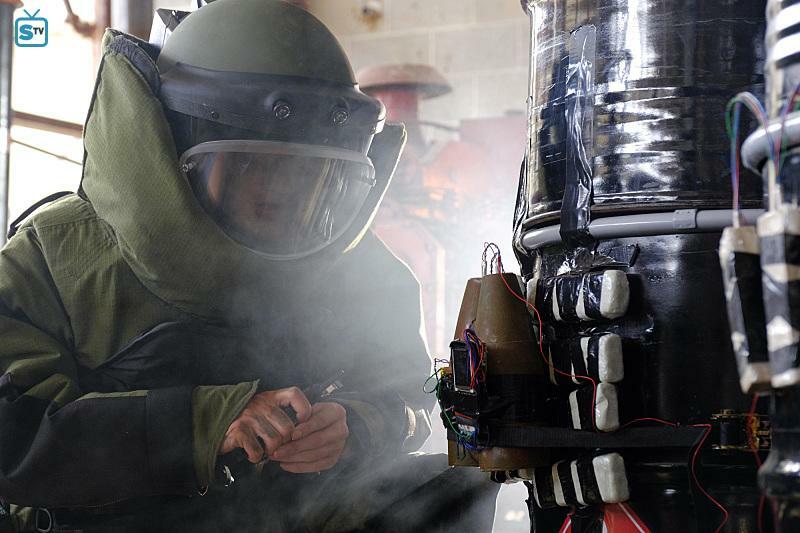 In Germany, the episode titles are “Die Wiedergeburt” (Rebirth) for 1×01 (The Rising), “Alias” for 1×02 (Metal Saw), “Golden Boy” for 1×03 (Awl), „Kalter Krieg“ (Cold War) for 1×04 (Wire Cutter), “Der Todeszug” (Death Train) for 1×05 (Tootphick) and “Der Geist” (The Ghost) for 1×06 (Wrench). It’s a well known annoyance that translated titles for TV shows usually reveal too much of the plot. Italy follows France in this tradition with “Vecchie fiamme” (Old Flames) for 1×02 and “Morte apparente” (Apparent Death) for 1×03. My favorite is still the French Episode Title for 1×03, though: “Tête à claques”. This is the French equivalent of the name that Jack Dalton uses for Ralph at the beginning of the episode: “Punch Face”. Since I laid eyes on one of the Phoenix Foundation Wall Panels for the first time, I’ve been intrigued by the design. I found it very interesting, but also kind of odd because it seemed too intricate compared to the rest of the set designs. I didn’t realize the Wall Tiles are an Easter Egg until recently, when I randomly came across an article about set design in movies. I’ve never seen the movie (shame on me), but the Wall Tiles are the same as the ones used in the original Blade Runner (1982) with Harrison Ford. 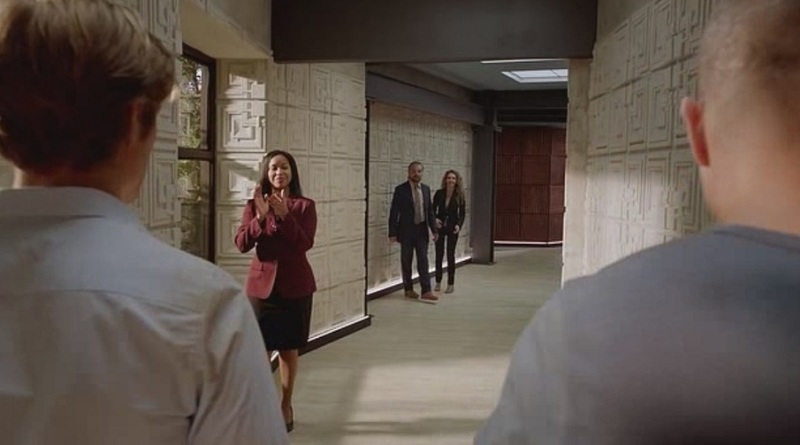 Apparently, the style of the tiles is based on Ennis House in LA which was designed by Frank Lloyd Wright and constructed primarily of interlocking pre-cast concrete blocks. Besides for “Blade Runner”, the very unique Ennis House was used for productions such as Twin Peaks, Karate Kid III or Buffy the Vampire Slayer. Well. 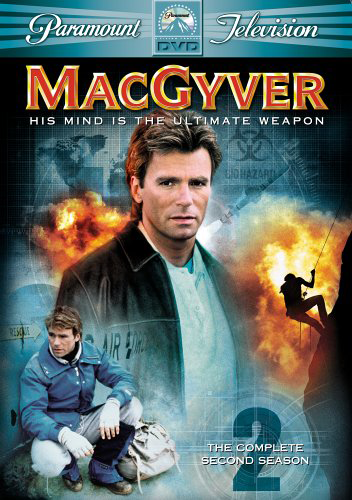 Who says you only learn about science while watching MacGyver.